Hazmat - Is the Industry Up-To-Date? Countless books and white papers have been written during the past three to four decades on the dangers facing the transport community when Hazardous Materials are not packed, labeled and shipped properly. This subject is probably the most important one for the air cargo industry and recent mishaps centred particularly around the movement of lithium components by air, have shown that despite everyone knowing what Hazmat means - many still ignore or are not au-fait with regulations. The above statement is what most good aviation training entities will try and implant firmly into the heads of their students. But is it actually being forced enough or in the correct way? This applies not only for air freight Hazmat training, but also, and even on a larger scale, for ground transport - specifically truck transport. 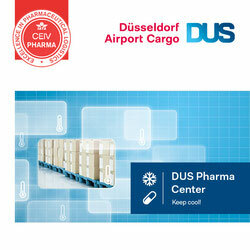 The risks involved in bad packaging, declaration or bad handling are enormous for the aviation industry. Much has been accomplished during the past decades thanks to strict and concise DGR Regulations which were issued by IATA and have been used by most companies when training staff. But - things have changed and although there are many seminars, training schools and very dedicated staff on hand - one has to wonder whether it’s being done the right way. Nowadays when aviation handlers and air cargo staff discuss on DGR, the subject almost inevitably falls back to the handling of lithium batteries and components. There have been too many incidents during the past three to four years where false packaging, false declaration and bad handling, have put aviators and passengers’ lives at risk. Regretfully, also loss of freighter aircraft and lives. We recently read what we see as an interesting view and approach to the handling of Hazmat. Titled “Understanding Hazmat“ - the article was put together by Landstar (www.landstar.com), a U.S.-based company which specializes in integrated transportation management solutions and published in the Logistics Management magazine. We highlight this particular study, although admittedly it concentrates mainly on road (RFS) transport and handling of Hazmat. However, the parallels between surface and air handling of DGR are more or less the same. Among many other aspects, the authors highlight again that there are still enormous safety concerns regarding the transport of lithium items and that many governments are continually revising and updating regulations. But, are they being followed up on in the correct manner? We remember clearly that twelve months ago there was much discussion about lithium battery transport and the need for handlers, airlines and shippers to join forces and come up with a watertight procedure to ensure fail-safe transport. Since then, things have gone quiet. Has the problem been solved and we’ve missed something along the way? 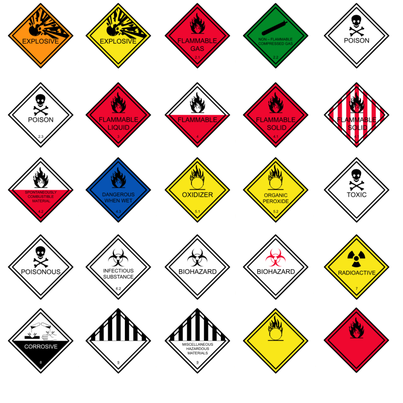 HAZMAT - Dangerous Goods is the most undercharged commodity in our industry. Yes, we do charge premium rates and do look 'healthy' on the surface, but because they are mostly applied to small shipments the absolute revenues remain feeble in view of the risk that the transport of Dangerous Goods poses to people, aircraft, ULDs, GSE, trucks and operational integrity. 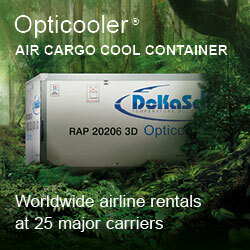 The value created for shippers in far in excess of the value created for the airlines.